despite all the snark, retort, and stares one can give to such a silly comment, there are instances where the retort should be « yes, it does, and it liberates me to take photos that you can't with it ». ouch. ok, save that for some rather unsavory characters. « She began taking photographs on her own in the 1960s, and in 1966, having had no previous instruction, enrolled in a six-month workshop taught by the photographer Richard Avedon and the art director Marvin Israel. this anecdote clearly highlights something that was true before the democratization of photography in the last decade: the rarity of the photographer. while digital cameras, and relevant software, have further democratized the ability to take competent photographs under most normal conditions by a greater number of people, the talent of a photographer is a gift that has not changed because of any advancements in technology. technology does not change the percentage of people that has a given talent/gift, and that is a simple fact that seems to be trivialized/forgotten about photography — along with so many other trivializations of photography, in contrast to other art forms. and this was the case for Deborah Turbeville. and, other styles now rather more commonly found than at their time of their publications. her approach to stressing the photograph's negative is now much more readily done with software. — Robert Gurbo, Introduction to André Kertész The Polaroids. for many years, I did not see this Polaroid "magic". sure, everyone seemed to have a Polaroid camera as I was growing up, and all through to this day, but I was never captivated by them. they were ways to capture ephemera, in the same that we can look at phone-camera photos, but without an artistic intent. 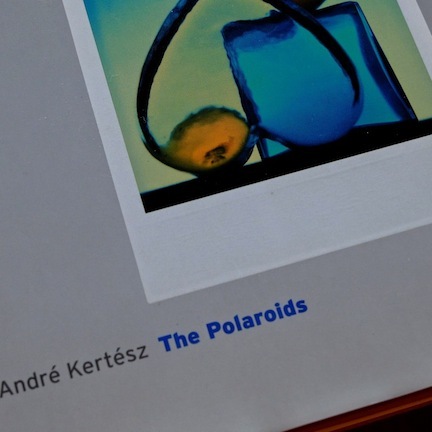 then in 2007 I got this book by Kertész, and was captivated by the results one could get from a Polaroid. not surprisingly, and despite my longtime avoidance of Polaroid as a means for my photography, this is among the favorite books I own. part of it may be the story behind the photos included in the book, and how it reflects so well the told story of Kertész's life after his wife's death. 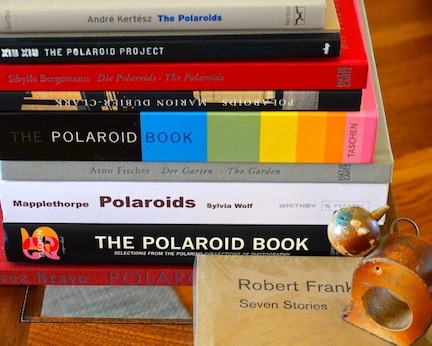 since then, and despite the slightly-reduced aversion to using "Polaroid" — now Fujifilm equivalent Type 100 film — the collection of Polaroid books is my most affectionate genre of books. After the first book, it was The Polaroid Book, that just wowed me. it is a compendium of photographs, and I loved the cover by Taschen. 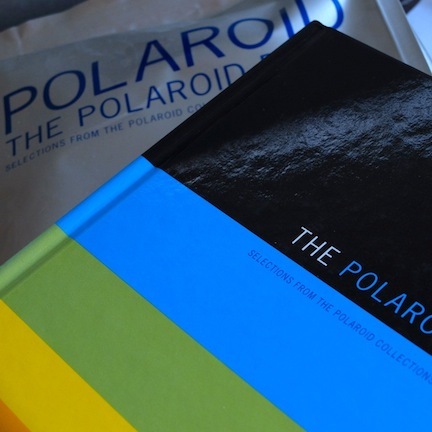 The Polaroid Book, and a copy with its original wrapper. of course, the book is not uniformly excellent, but hardly any photo is uninteresting, and some examples are just incredible. it is quite the journey through photography, admittedly, not all through the same type of Polaroid film. seemingly, Taschen, on the first printing of the book, went quite a bit into a splash on the book design. not only on the hardcover design, but that in came wrapped in a silver-coloured bag like Type 100 film does. — With Immediate Effect by Jutta Voigt on S.B. both Kertész and Bergemann managed to extract a similar magic out of the medium, in the way that they saw the limitations of the medium and how it still revealed a truth they wanted to convey about their personal convictions of this truth. that... is very powerful, and a clear distinction among photographers. be it the mastering of the medium, in this case the shortcomings of the Polaroid camera and presentation, or the subjects chosen being so closely personal to both of them in their late stages of life, there is nothing short of amazement at the collections of Polaroids that both offer. these days, I have come to be curious at the Polaroid system: a Polaroid 350 with some modifications, and its use in a Graflex camera. the Type 100 film from Fujifilm does not offer the colour shifts that the original Polaroid offered, but there are still the quirks of these cameras that brings the slow-thinking required by the set up to take a photo, and the immediacy of instant development. in terms of searching for creativity, photographers may seek limitations as a way to notice scenes differently, and thus, promoting a direction to take from their current status: either drastic, or ever so subtle. one can think of instant film as a limiting medium: if one considers the aspect ratio, and colour shifts inherent in instant film, and in some cases the overall softness. a modern take on these limitations is “phoneography”. by restricting the recording and processing to be within a phone, and a (false) sense of urgency to share a photo, then phoneography definitely can alter a photographer’s way of looking at scenes or moments. while digital, there are the limitations of lighting, dynamic range, long depth of field, and a fixed (typically) 28mm-e focal length. in a way, the phone became one “complete camera,” the way that Polaroid was, and unlike an SLR that requires the uploading of photos to a computer for processing. other advantages for finer work presentation are available with this SLR approach. while on a recent trip, the narrow streets and the expansive canvas of what I seeing — regardless of camera — translated into an increased frustration with the phone’s camera. the lines were distorted, as the usual way of working with a square-frame restriction was not a good aspect ratio, and working with the more sensible (for these photographs) 16:9 aspect ratio meant that the lines were very distorted. the “style” to be pressed upon all that I was seeing was a sense of panels, either geometrically flat, or “3D”. the phone camera became woefully inept at acquiring the proper detail and angles I was seeking. however, I still wanted to retain the small-camera size/weight — as I could return later with other cameras to retake the photos — and I wanted to get to the envisioned result with the least amount of hassle. for this, it was still very much appealing to process the photos with the phone and/or tablet. also, the vast number of apps for processing photos was pretty much reduced to two: Snapseed and VSCOcam. and night photography, which otherwise would be riddled with bad results from a camera phone, such as the second photo below. this second photograph is based on a pre-conceived observation that was borne by the constraints of camera phones: New Topographics, in particular, the work from Lewis Baltz [ link ]. these other photos are collected in an on-going project called Topographies of Japan. another consequence is a shift from 1:1 aspect ratio with camera phones to a predominant 16:9 with this new style of mobile photography. Harry Callahan Retrospective, Kehrer Verlag, 2013, pg. 13. I have great difficulties with so-called "street photography" because, instead of a celebration of the human moment, there is a tendency to feature a sort of freakishness that will bring eyeballs through loudness. to make matters worse, there is an excessive processing to bring out "features" — more so of homeless or drug addicts. I always ask, why not take photos of homeless as Irving Penn would? 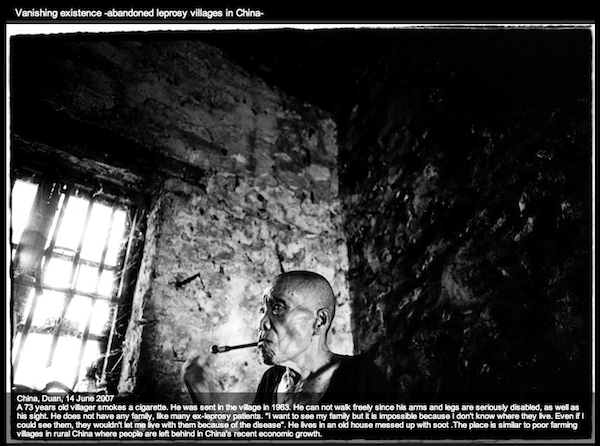 averting the eye toward street photography is not perfect, and I glad because today I saw the compelling work of Kosuke Okahara in his project about ex-leprosy patients in China. in his project Vanishing Existence - 2007, he manages to achieve what I can so readily enjoy about the balance of photographing humanity: leaving it as human. yes, photography is about showing us... and capturing our eye, and imagination towards a frame. to do this, reality may be subverted some, and the photographer controls the impression. a careful balance between glamour, and reality. after all, that is what us humans can demand of a photograph to get our attention. to me Mr. Okahara achieves it in this series: a possibility of going between the reality of the photographs, the plight of the people he has photographed, and making compelling photography. all the while, we don't have to be battered by the methods used to achieve such photographic presentation. thus, you can see a lot by looking and see beyond if letting it be personal. as we dive into photography, we may (naturally) be concerned with finding “the shot”, until we realize that the “the shot” can be accidental, and that anyone can get it. this is the equivalent of being trapped in a “one hit wonder” type of syndrome. soon after we may drift into seeking a style, but then, as confronted and dissected in Mike Johnston’s Element of Style [ link ], one can realize that style is not always necessary. “the shot” and having a style are calling cards... but a calling card to what exactly? Saul Leiter seem to have hit on his stride by realizing that photographing is personal. if one can dare to do so, because if it is personal, then other people’s criticism may also feel personal. however, this is only sensitive because we grant a talent for seeing to whomever offers a criticism. where was that most critical (and rare!) of talents given so easily to so many? they are offering an opinion bathed in their bias and understanding of what a photograph should do to them. rare is the person that tries, and never can achieve, seeing what the photographer intended. is this a copout? hardly. it does not call for ignoring what others say, just to digest it properly, which requires even more effort on the part of the photographer. 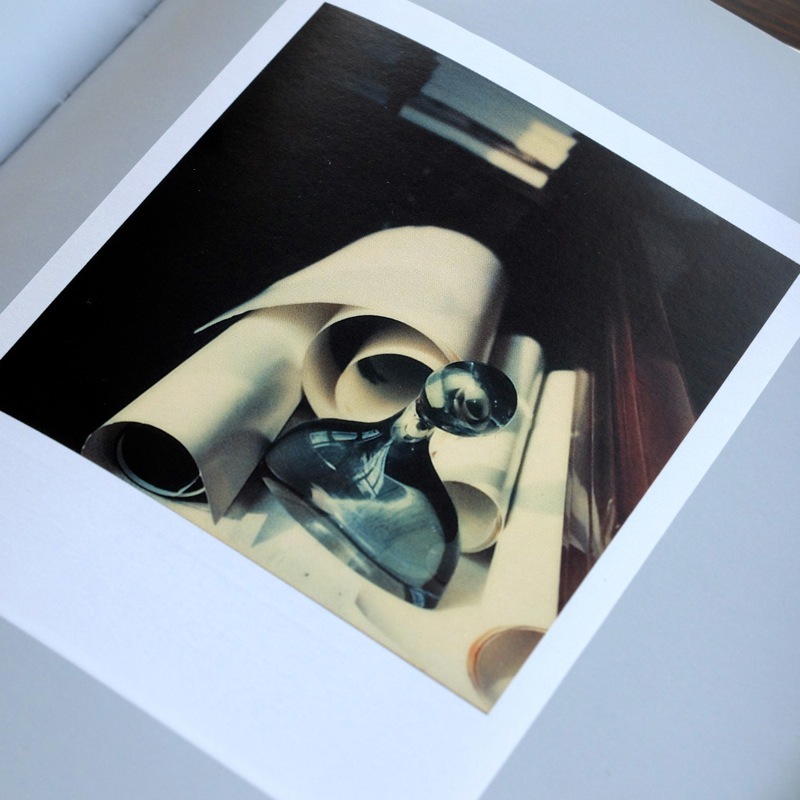 Saul Leiter’s photographs are the most important that I have yet encountered. perhaps contradictorily, I think that dwelling in that admiration, while awesome of itself, is to miss the greater point of his work: what circumstances produced such work, and how it may relate to something that is already natural within my approach to life/photography. thus I can “see” his photos for their fantastic realization of who he is, but then to “look” at his photos for a greater significance: that is, in the context of learning from someone about photography to hasten the learning process in the areas of the persona that may overlap with his ideas. and as field of photography gets very crowded, one way to keep going there with no worries is to go personal, instead of going to see what everyone else is doing. in the first part [ link ], it was noted that the old way for many to work their photographs through a system/workflow for feedback, or understanding , was (effectively) no longer valid. for many, flickr was the sole source for many functions and results in sharing a photograph online. the decline of flickr, and the rise of mobile devices and apps-based photography, along with other sites picking up on disenchanted flickr users, meant that some sort of change was required. one of the negative aspects of internet sharing was the urge to get a photo up and ready to share: maybe one per day, to maximize comments and activity on the photo. not surprisingly, this is not really a way for someone to take photography serious, never mind the distraction from social quid pro quo. then, a new of thinking of how to use the internet for a photographic workflow is required. this new way has to be much more independent, to remove the dependency on one site, and perhaps shed the urgency that social-sharing brings into the selection, and processing, of a photograph — among many other issues affecting the process. since there is no urgency to post photos to the internet, it is good to work the photos all at once. that is, all of the photos constituting a potential project are gathered to consider which ones are suitable for further work on them, if any of them are needed. a lot of deletion should occur here, but it is only a first step. if some photos are just “soooo good,” then one can still do as before, and process one or two and post them in the process of the first step noted below. for Step 1, the many social-photo sites are not as active in commentary about photography. just presence-actions like faves/likes, posting to groups (if available), and short 3-word comments are the norm. however, search engines and search through tags offer a way to put photos to bait for additional work, and the rare useful feedback. this step also offers a way to get some photos out while the entire project is being edited. 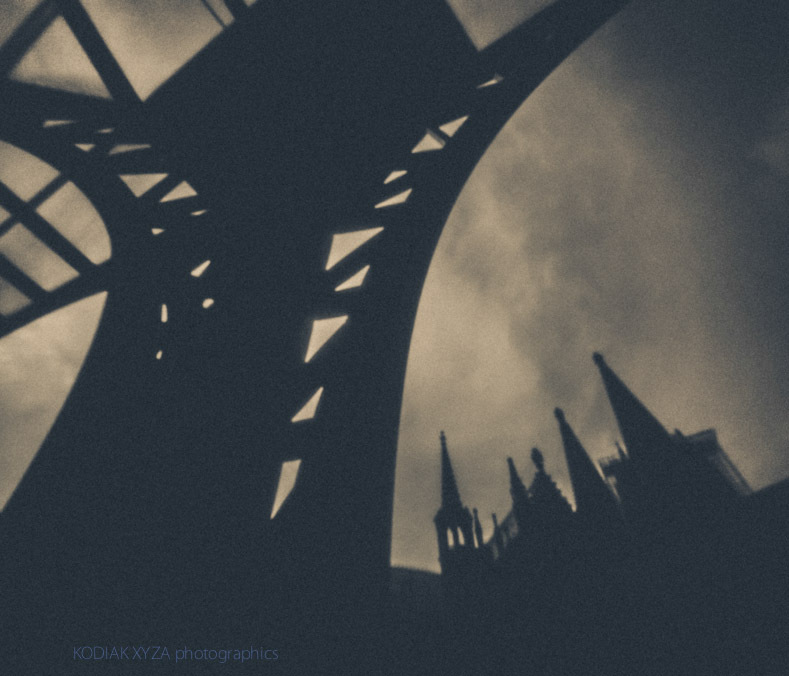 consequently, one can post one’s work to many sites — flickr, 500px, Instagram, etc. — without increasing one’s energy put into such endeavor. especially since editing software now has automatic uploads to many of these sites. because of Step 1, or because of Step 3, the biggest benefit is to look at one’s recent work against the old, and repeated viewing in varying context to reconsider if the photo is in final form. this is Step 2. perhaps a heavy-handed processing is noticed, or a change in composition to improve the impression comes as a result. in a way, Step 2 is on-going through Step 3... all the way until the end of Step 4.
the hardest element of photography is editing one’s work. not the presentation, but removing/deleting seemingly favorite photographs from a set to make the collected work stronger. Step 3 is about this process, through repetition and reconsideration. the repeated viewing that leads to re-editing the photo’s presentation also brings about a consideration of its strength in a group. it also becomes apparent how a body work “hangs together” and/or can be subdivided. Step 4, while it is just about making a final selection of the photographs in a project, and giving them a portfolio — or final resting place — it is perhaps the most difficult of steps. this one is much more personal, and up to one’s personal demands on phoography. this step can be complemented, or substituted, by proceeding with a book project. the book forces a process of selection, flow, and possibly writing, which can be very enriching — even if the book is not to be a “big seller.” actually, it is best to make the book for oneself, rather than for an audience. •For Example... Kodiak Xyza on the Internets... woo hoo! for Step 1, I post photos to flickr and 500px, though I do not care to post all of the photos to flickr, and posts a bit of the strong ones, once the project is near completion, to 500px since I am using the site as an intermediate portfolio. consequently, I post the photos in different sequence to each site to keep looking at the work. the projects for effecting Step 3 are uploaded to Dunked [ link ], where they get revisited, and perhaps some subdivision of the projects take place. along with the project segmentation, it is good to write some words that would go with the photographs in a book. for Step 4, I have a “resting” place for projects: A Touching Display [ link ], of which Wedding Photography is a very quick process to get to it — this is because the project is dealing with a client, and there is nothing to write about it. it is good to shake up the normal process as well, and two ways is to look at photographs from other photographers, and pursue a Curation project. there are many sites to pursue this curation, especially if one wants to blog about it. I want to keep it simple and use tumblr: Moments After A Dream [ link ]. however, given the awkward “dashboard” in tumblr, there is no attempt to make a connections to other tumblrs, as the site is usually used just like twitter and Instagram: the idea of following and presence-interaction. I quite like that Dunked and VSCO Grid are not social, and merely allow links to be provided to direct people to the work: people can look at the work as they wish, for however long they wish, and there is no need to make a presence-interaction of any kind. in a simplification for the internets, and my bias of photography, these trails were dominated by Edward Weston [ link ] in one direction, and Paul Strand [ link ] in another. outside America, André Kertész [ link ] would be another force in this movement away from the grips of the painterly... and to “hey, discover this”. perhaps for many in my generation, it is easier to watch movies throughout a longer period of life, thus an earlier start, than it is to be educated into the canon of photographers that began what we know as photography today. perhaps it would have been Carl Theodor Dreyer’s Passion of Joan of Arc to offer the composition knock out, or German Expressionism since Fritz Lang’s « M » was also a knockout. however, silent film and early talkies were not something I sought in movies until recently. many years passed since Citizen Kane until I was to be as shocked again about movies as inspiration for photography, though certainly many movies were appreciated for their cinematography in the interim — not the least The Godfather, 2001: A Space Odyssey, and Blade Runner — despite the growing loudness and in-your-face approach taken by Hollywood; this loudness and obviousness is not only visually, but also with scripts/dialogue. then, a one two punch with The Double Life of Veronique by (the much missed) Krzysztof Kieszlowski [ link ], and In The Mood for Love by Wong Kar-Wai. for the first time, colour was revealed as a useful tool in a photograph, that is, used as a language that felt rather intuitively correct and emotive. in a way, colour was not illustrating the frame, it was offering a layered translation over the composition and use of light: colour, like composition and tonality, was an emotive element in synch with my view of a frame. meanwhile, from the late 1920’s, Yasujirō Ozu [ link ] in Japan was beginning to develop an impressive body of work, starting with silent movies in the late 1920s. a total of 53 films were made by Ozu, and 26 in his first five years. this idea is relevant in spite of Doyle having a completely opposite attitude towards camera placement/movement to Ozu. since Ozu controlled the direction and composition, as well as co-writing the script, more of his vision makes it into the final frame. two key concepts seem to be often referenced to Ozu’s work. Kieszlowski practiced these Western Cinema values, but Ozu cinematically propelled, in his movies, the photographic composition — via a stationary camera — and the idea of mono no aware ( “the pathos of things” ) [ link ] in a patina of wabi-sabi [ link ]. a stationary camera/scene has an immediate impact to a photographer seeing his movies — a non-photographic mind my relate to a fixed scene as what happens in a theater. these teachings from Ozu then inform a longer journey into one’s own photography, which perhaps started with a big bang of Citizen Kane. the idea then evolves into achieving a shift from “omg, look at this photo! !1!1!” to a more calm “hey, discover this photograph,” which is proxy to discover the photographer: a much richer experience, most certainly. though the question is: was it ever alive? the answer is yes, in that flickr had stumbled upon facilitating such a situation. Social Photography is facilitated by a site where the user has a photo used for currency, and people can act in a social manner on the photo. typically, this is by views, faves/likes and comments. subsequently, there was a curating effect, self-serving or altruistic, via invitation to groups. that social photography was a success in furthering photography, or perhaps trivialized it, is to be another (long) conversation; or even that social photography was engaged by a significant number, or a critical mass, of "true" photographers is yet another conversation. social photography thrived through the rise of flickr and its peak, before an anecdotal decline — and many reasons seem to contribute — which allowed other sites to rise and be noticed. this period was from 2005 to about 2007, or 2008 at the latest. there is no clear demarcation of when social photography "lost it", and this is not of great concern, though it is sensible to argue that the rise of Instagram marked its death. the change in platform, from flickr's desktop to Instagram's smartphone, propelled the change in what a photograph is among people. not quite. Instragram is not social photography, because there is no engagement about photography. yes, a photograph is created for the purpose of a social interaction, which is in line with previous mechanism, albeit at a much smaller scale and perhaps not involving so many strangers. thus, there is nothing photographic of merit in Instagram. that is, aside from the photographer putting as much, or little, effort into taking and processing the photo — in third party apps — but not in enriching that experience through a social interaction. while Instagram had to solve a photograph-storage/servicing engineering problem, Instagram is about sharing/connecting and not photography — this according to one of its founders. still, we must remain aware that despite a company's intentions, people can morph the intent of a website to their needs. this clearly happened with flickr. the Social Photographer is working the social sites, notably tumblr and Instagram, and amplifying it through social networks, notably twitter and facebook. the interactions of faves/reblogs, short platitudes — such as the infamous "great capture" — and comments is the gained currency from mining the right photo. there is much to be enjoyed in this realm, if one finds the proper content generators. the photographic qualities of the photos are secondary, or non-existent. the Longform Photographer can be working within the social network tools, but seeking a different way to communicate — perhaps often frustratingly so — and requiring more than mining socially-appealing photographs to build an audience. actually, an audience is required by any photographer type, but the required audience count threshold may be lower. this Longform Photographer may reside somewhere in between the Social Photographer and the traditional art-world photographer. clearly, the author is in this latter group... and in the process of learning, and figuring out how to use the internet to help a photographer's, and a photographic, pursuit. the audience is less of a concern at the moment, since much is to be figured out. this site is an aid towards that pursuit. ** a commonly used term in online journalism is "longform journalism" , and The New Yorker has references to "longread" articles.